To love is to act intentionally, in sympathetic/empathetic response to God and others, to promote overall well-being. (Oord, The Nature of Love: A Theology, p. 17). But what does this really mean? Indeed, where is love when conflict emerges, as it so often does? The lectionary texts for this week lack that overriding connection that some weeks provide us. I’m not sure that these texts fully define love, but there is a call to love in Ephesians and an example of love expressed in a time of deep sadness in 2 Samuel. The Gospel text lacks that sense of compassion that is present in the other two texts, but even here Jesus is portrayed as desiring the good of those who will follow him, thus promoting the overall well-being of the other. We turn first to the reading from 2 Samuel. It’s an intriguing text because we see the true humanity of David emerging from the text. He is dealing with a rebellion, one that has taken in at least one member of his own family – his beloved Absalom, who in course of the text dies at the hands of David’s army. Of course this rebellion seems to have its origins, at least in part, in family dysfunction. David might be a “man after God’s own heart,” but as a family man he leaves much to be desired. We know of some of his marital issues, but as a father you could say he was a failure there as well. Absalom’s rebellion is rooted in an unresolved family issue. His half brother Amnon raped his sister Tamar, but David didn’t do anything about it. When Absalom had Amnon killed, David mourned the death of his son, and watched as Absalom fled. Battle would ensue and David’s army would overcome that of Israel. I think it’s interesting that David’s army battles that of Israel, suggesting that there really never was a united kingdom of Israel. David and Solomon may have held sway for a time, but the relationship was tenuous. But back to David and Absalom, family problems lead to massive death. The author suggests casualties upwards of 20,000. 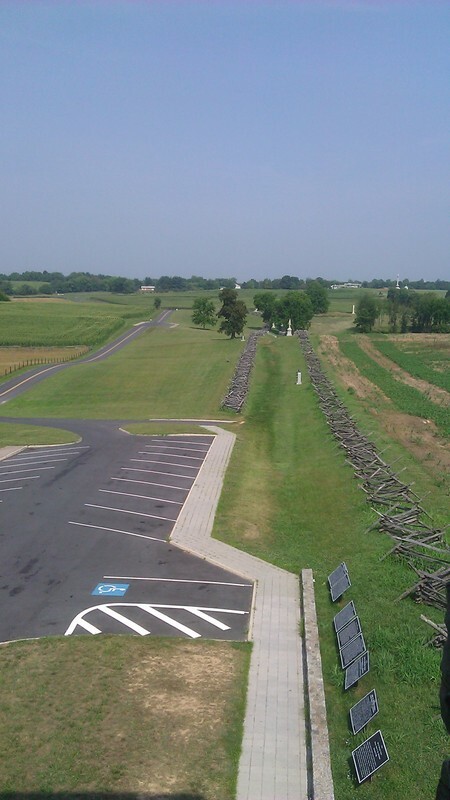 Now, having just visited the Antietam Battlefield, which led to over 20,000 dead and wounded, more casualties than any other day in American history, we understand that these numbers are exaggerated. 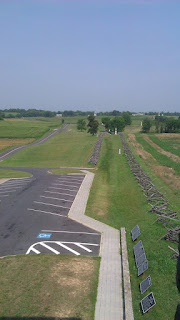 Still, the numbers suggest a tragic loss of life, and as with Antietam it was neighbor killing neighbor. Had David done something more, earlier on, perhaps this violence could have been averted, even as the violence of the Civil War could have been averted had the leaders of America had the will to act much earlier than they did. The battle ends with the death of Absalom, but the story is not complete. A messenger from David’s commander-in-chief, Joab, brings the euangellion, the good news to David. His army has won the victory. David should be happy, but his concern is for the “young man Absalom.” At the beginning of the text David gives instructions that the army should “be gentle with the young man Absalom for my sake,” but Joab wasn’t interested in mercy. He wanted to vent his wrath against this rebellious son of David. When the “good news” arrives, David retreats in horror and grief. He goes to his room and weeps, crying out “O my son Absalom. My son, my son, Absalom! If only I had died instead of you – O Absalom my son, my son.” David grieves for another son who has died because of his own actions (or inaction). He would, as any parent would, give his life for his son. If only it was me and not him who had died. There is compassion here for one who had gone astray, but of course the father is really complicit in the death of the son. The grief is real, but there will be no real solace, will there? This is a good reminder about God desires for us to be and do as we seek to live in the midst of God’s love – even in times and places where conflict is present. Let us live in ways that reflect the person of Christ. Going back to the beginning of this passage, after the writer tells us to get rid of lying and instead tell the truth to one’s neighbor, “because we are parts of each other in the same body,” we’re told to “be angry without sinning.” This call to “be angry without sinning” resonates with me in large part because of a conversation that transpired at the recent PICO Network National Training that I participated in. The trainer, on the first full day of the conference, spoke of the important role that anger plays in community organizing. If we’re to find the power to make a difference, then there must be a profound anger or grief about what’s happening in our community or neighborhood. Being concerned isn’t enough. There has to be some kind of “fire in the belly.” He quoted Aristotle who suggested that if one looks at injustice and isn’t angry then they are insane. There was a lot of resistance to this idea, probably because many of us, especially in the church, have been taught to suppress anger. Meekness is okay, but not anger. But here is a word of permission – be angry, but don’t sin. Anger can provide the passion that we need to break through the barriers that keep us from getting engaged in making a difference. So, how do you engage your anger without sinning? Here in Ephesians we’re told not to let the sun go down on the anger – don’t let it fester, instead act on it in a way that reflects the desires of God that the world would be just, where love will prevail. Then, anger becomes a reflection of love. That is the way of Jesus. Finally, we come to the gospel. Once again we’re in John 6. Jesus has fed the 5000, walked across the sea, confronted his would be followers (kingmakers), and now we hear him define further what it means for him to be the bread of life that comes from heaven (Jn 6:35). The people grumble when they hear this. John casts the opposition simply as “the Jews,” an unfortunate decision, because it has led to generations of Christians to justify abuse, prejudice, and violence. With this reminder, we can hear what Jesus (as John portrays him) has to say about the bread of life. We have established that we need bread (and water) to survive. There is, as we see here, both physical bread and spiritual bread. I’m reminded once again that it is Ramadan, and my Muslim friends are fasting from dawn to dusk. In their fasting, they are able to focus on the one whom they depend on for life, namely God. And this is the message that Jesus has for us – even as we depend upon bread to live, we must depend on the living bread to live as well. We are physical beings, but we’re also spiritual beings. So, Jesus says – come to me, believe in me, rest in me, feed on me (yes, feed on him). Why, because he is the bread of life that sustains, just as the manna sustained the people of Israel in the wilderness. If you eat of it – spiritually – you will never die. Although in my tradition we don’t believe in transubstantiation, and most don’t believe in the real presence, we have understood this text in Eucharistic terms. By partaking of communion, we take into ourselves the person of Christ, so that in doing so we will be transformed, we will receive eternal life. Life is to be found in his flesh. Now, here’s where things get difficult. In light of our previous statement about the centrality of love, we must ask the question – are there any barriers that must be crossed. David loved Absalom, but he couldn’t take his place (though he could have resolved the problem before it got out of hand, but that’s not the way things played out). The difficult text here for many of us isn’t the word about eating the flesh of Jesus – we can nuance this in metaphorical terms – no it’s the seeming exclusiveness of this passage. It seems as if Jesus is erecting a barrier and that barrier is himself. Instead of tearing down walls between Jew and Gentile, he erects one that stands between believer and unbeliever. Here we read: “No one can come to me unless they are drawn to me by the Father who sent me.” What does this mean? How do we understand it in the light of the love that we believe defines God? I don’t have answers that resolve the tension. For me, Jesus is the means by which I know God and experience God’s love. For me that has to be enough, but out of that sense of calling, I can find my own sense of passion to live a life that is worthy of the one who was willing to die for me. There is much conflict in the world. We can find it in our urban communities, in the suburbs, and in the rural places. It’s present in our families and in our churches. And yes we see it present in every corner of the world. We see the reports of persons shot down in a theater and then in a blink of an eye another shooter takes aim at a community of faith that looks different. There is death and destruction in Syria. Yes, there is much conflict. So, what are we going to do about it? Where is the passion? The anger? The love of God? Does life lead us to intentionally responding to the other in away that leads to their well-being, you enough that you're willing to change things?